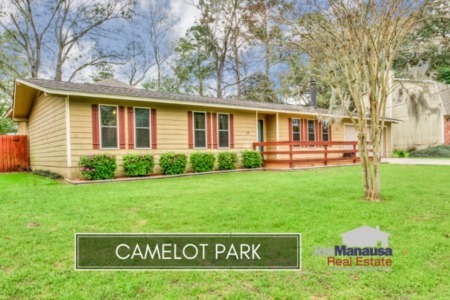 We routinely write about the neighborhoods in Tallahassee where most homes sell, but there is a healthy portion of our market that transacts outside of formal subdivision boundaries. This report shows all homes for sale not located in a subdivision and also shows average home prices, home values, and home sizes for homes in these locations as well. Our property search tool is limited by the subdivision input that real estate agents provide, and unfortunately, it is not very accurate. Thus, the list above includes only those homes for sale in Tallahassee where the subdivision includes the words "not" and "none." 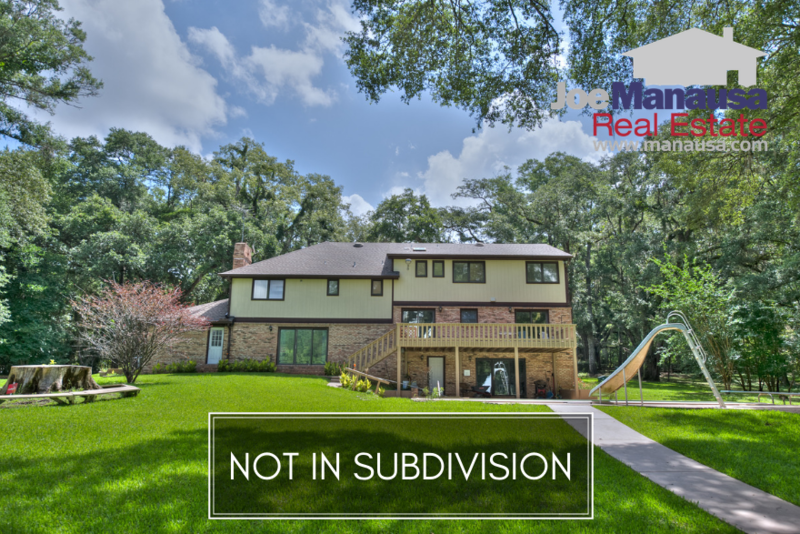 Fortunately though, our information on sold properties has been scrubbed by our staff so that we CAN provide charts, graphs, and analysis of all homes sold outside of formal subdivision boundaries in Tallahassee. It is important to note that the narrative contained below is for sales through December for all previous years, but through the third week of September in 2018. 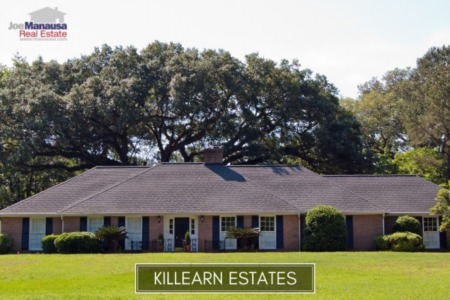 The graphs and the closed sales table will be continuously updated into the future (meaning bookmark this page if you always want to know the current status of homes in outside of Tallahassee Subdivisions). Average home prices of houses not in a Tallahassee subdivision have come down a bit since our last report, but continue to be historically high. Currently, the average price of a home located outside of formal subdivision boundaries is $247K. Home sales activity remains robust for the northern half of Leon County, and good in spots on the southern side. For most areas and price ranges, homes that get GREAT MARKETING get sold fast and for top dollar. Average values of homes not in subdivisions have appreciated nearly 8% thus far in 2018. Through the writing of this report, the average value of a home sold outside of a subdivision this year has been $111 per square foot. There are many gorgeous homes located outside of subdivisions. Take a 3D tour to see some of the amazing features. If you see something you like, give us a call at (850) 366-8917. The average Tallahassee home size sold outside of formal subdivisions typically falls in a range of 1,800 to 2,200 square feet, and 2018 has been no different. The 179 homes sold outside of subdivisions in Tallahassee this year have averaged 2,049 square feet. This concludes our September 2018 update on home sales in Leon County that are not located within formal subdivisions, please give us a call at (850) 366-8917 or drop us a note if you have questions about any of these fine homes. Are you thinking about moving? Here's what people are saying about working with Joe Manausa Real Estate, you can see hundreds of real customer reviews reported on Google, Facebook and Zillow right here: http://www.manausa.com/testimonials.